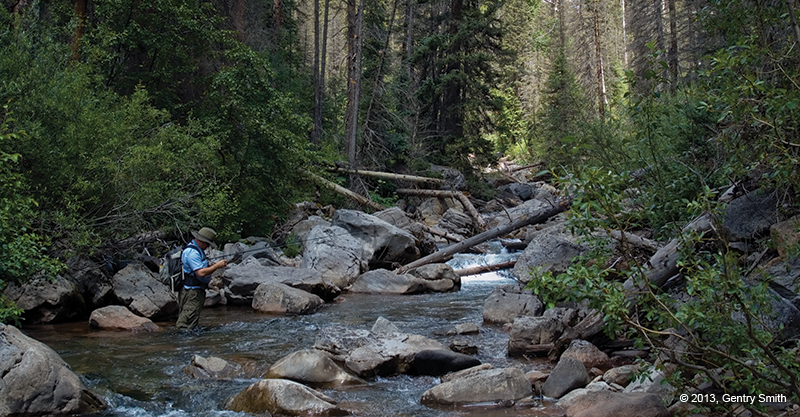 Concealed within the San Juan National Forest—just a short distance beyond the beaten path—ambitious fly fishers will discover the wildly rugged Cascade Creek. Because of its limited access, Cascade appeals to those with a sense of adventure. The stream’s banks are recurrently lined with tall cliffs and thick brush, and the water is frequently congested with large boulders and downed timbers, which make reaching the best fishing spots challenging. Light-duty bushwhacking and scrambling are requirements for traveling any significant distance along this creek—especially its upper reach. 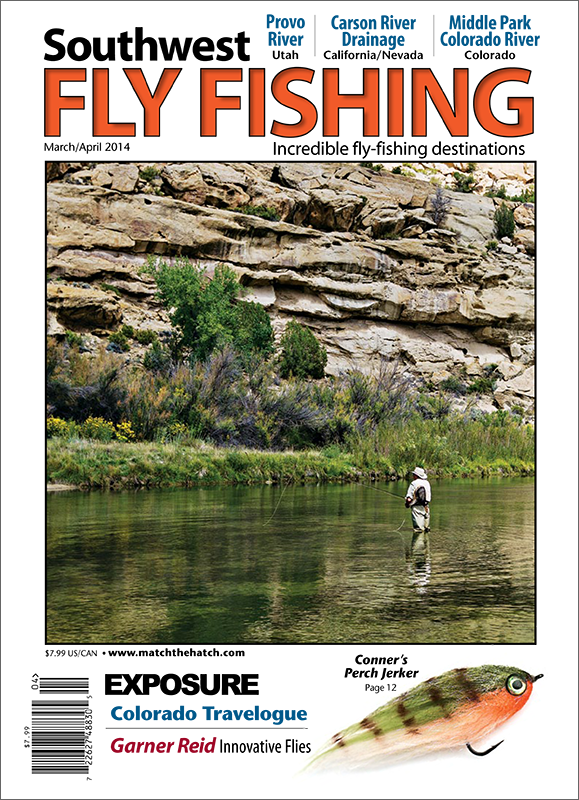 The reward, for those willing to accept the task, is the opportunity to land feisty, high-mountain trout in a classic Colorado setting of pine, spruce, fir, and aspen trees. 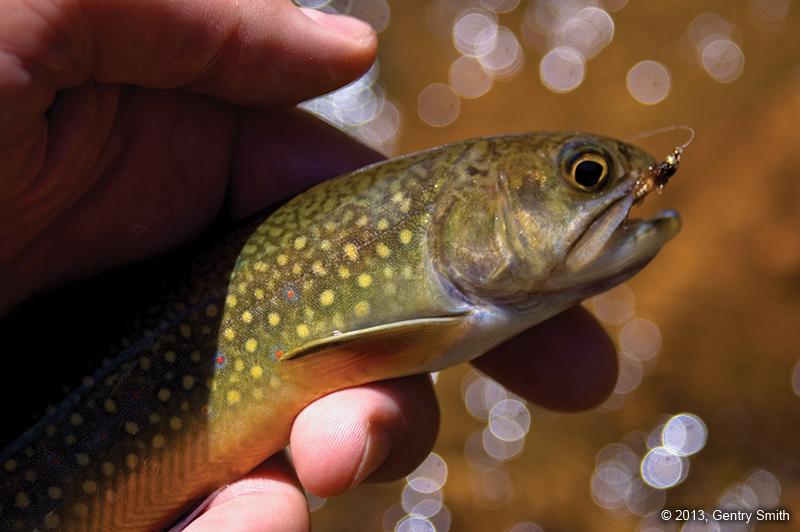 Stream-born brook trout are the predominant species throughout Cascade Creek. Due to the short growing season, these jewel-toned beauties are opportunistic eaters and, consequently, they’re easily fooled by attractor dry flies. Colorful patterns—Stimulators, Royal Humpies, and Lime Trudes—make excellent choices for fishing the water’s surface. Adding a beadhead dropper fly will result in even more hookups. 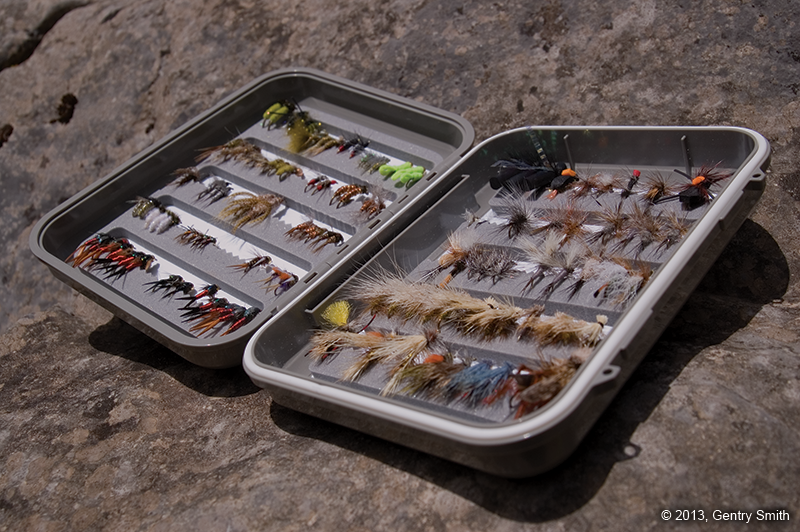 Again, these trout aren’t very selective, so feel free to offer a variety of weighted nymph patterns. At Cascade, double-digit fish totals are not uncommon; however, the fish populating this region are generally small. A large brookie will reach only 11 or 12 inches in length. Bigger ones prefer the prime lies, typically located near the head of plunge pools. Keeping this information in mind, anglers should take the time to identify all possible holding areas before making a first cast that will place the fly strategically. It’s best to fish out an area completely before moving on. Using shorter, 3- and 4-weight rods will open up more casting possibilities, but in most places, standard 9-foot rods are still capable of delivering a fly with a gentle flip or dap. From Durango, there are multiple ways to approach Cascade Creek by driving north on US Highway 550. Twenty-five miles from town, anglers may park near the Purgatory Flats Campground and trailhead, located on the east side of the highway across from the ski resort, and then hike down to Cascade Creek to fish its lower section. Another option is to drive farther north on US Highway 550 until you reach the hairpin curve in the road, where, in the middle, you’ll find the signed turnoff to Cascade Creek’s upper section on the left-hand side. A unique way to reach Cascade Creek is taking the Durango and Silverton Narrow Gauge Railroad (DSNG) from Durango to Animas Canyon and getting dropped off near Cascade’s confluence with the Animas River. From here, you can catch the train on its return journey to Durango later the same day or spend the night in the backcountry and rendezvous with the train the next day. Reservations for the DSNG railway can be made by calling (970) 247-2733, www.durangotrain.com. Neighboring streams include Hermosa Creek, East Hermosa Creek, and Cascade’s largest tributary, Lime Creek.